PLEASE DO NOT SUBMIT INCOMPLETE ATHLETIC PACKETS. 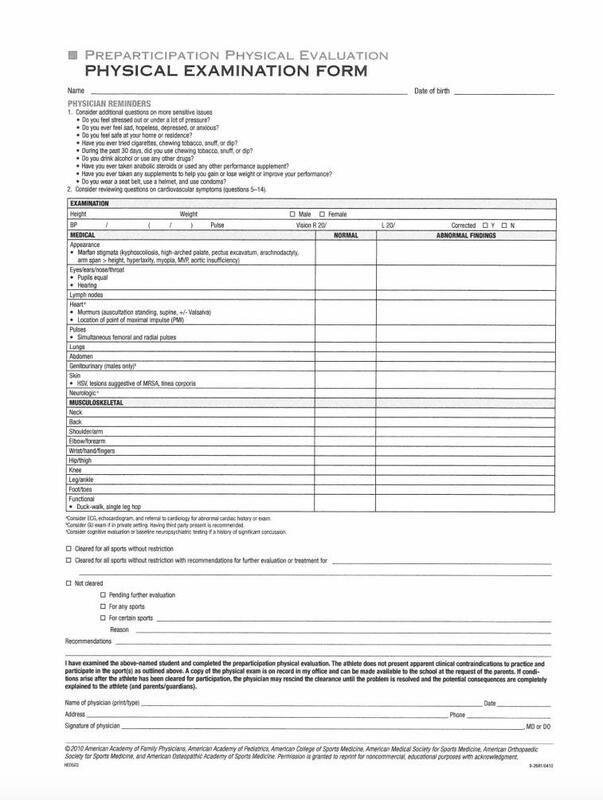 Before submitting please fill out all required documents including; Insurance policy number, parent information, all signature forms, emergency contacts, health history questionnaire, etc. The Parent and athlete should be completing all forms together at the same time. Any packets with incomplete information will be denied and sent back to the user. You will have the ability to scan and upload your physical clearance with your electronic athletic packet. All student athletes must have an active sports packet and physical on file prior to (1) pre-season conditioning programs or (2) trying our for a sports team. Any student without an active physical/sports packet will not be permitted to participate until the physical is complete. Medical Insurance is MANDATORY for participation in after school sports. If you do not have your own medical insurance you MUST purchase Insurance through PE-INSURANCE for each sports season that your child is participating in.